Case Printing Solution’s New OEM HP Q7456A HP 4500 Black Print Cartridge and connectors save you money. These HP printheads connect to the HP Q7457A Ink Supplies. We buy bulk, and have low overhead, so we can provide volume discounts on guaranteed, NEW OEM HP Q7456A printhead and connectors for any HP 4500 compatible IMS System. 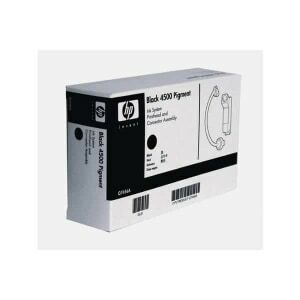 Remanufactured HP Q7456A HP 4500 Black Print Cartridge and connectors save money. These 4500 printheads connect to the OEM or Reman Q7457A bulk ink cartridges. 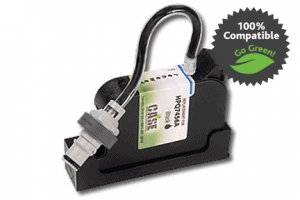 Case Printing Solutions’ expert InkJet engineers created this 100% compatible remanufactured HP 4500 Bulk Ink Printhead and connector solution with the rigors of packaging lines, carton marking and case coding in mind. Our Team of ex-HP InkJet Engineers have spent years perfecting their ability to remanufacture Q7456A Printheads. We provide outstanding decap time, quality inks, and our 100% compatible guarantee! Deliver improved uptime and keep your equipment running. Ensure your codes are scannable, with quality inks. Make your printheads/print cartridges last, with excellent print quality. Case Printing Solutions remanufactured bulk ink supplies provide superior value, significant savings over OEM and other remanufactures, and offer an environmentally conscious alternative. In addition, our customers find our no-box, case carton only, bulk packing for quantities of 10 or more, reduces swap out time and waste disposal. The HP 4500 black pigment Bulk ink supplies are used in conjunction with HP Q7457A IMS bulk Ink Supply Black 350 ml. *HP is a registered trademark of Hewlett Packard. Case Printing Solutions is not affiliated with Hewlett Packard in any way, nor does Case Printing Solutions endorse any product of Hewlett Packard. Learn more about Service & Support to keep your line up and running at the lowest cost! Case Printing Solutions is run by former HP inkjet engineers and technicians, each with more than 15 years of inkjet experience. Our knowledge of inkjet systems ensures that you receive 100% compatible, quality products, at an affordable price. We stand by our work. Your satisfaction is guaranteed. Click for Details Pick your Ink Type, and try our printheads and ink on your line. We are so certain you’ll love the results its up to $55 value -Free.